DETROIT RUNNER....: Which to choose? 3 miles on the schedule today. Done! Jeez it was really cold out there today. I hate the wind. Why is it that when you are running, the wind feels really bad and then you look at the trees and they are barely moving? 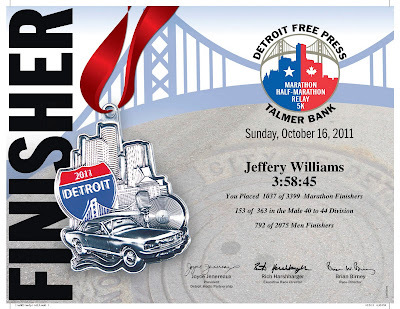 Detroit Marathon(Price unknown currently) - I ran this last year and the price was pretty good on it last year. It's also nice that it's close to home and I personally think is a really well run race. It has an awesome medal and my running buddy has not run this full yet. Also, it's the 35th year this year as well. 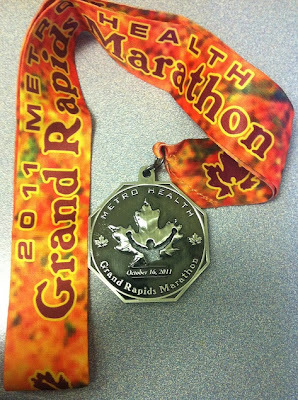 Grand Rapids Marathon($85) - I have heard really good things about this marathon but it's a smaller one. Very little crowd support(although I don't care about this that much) I'd also have to stay overnight but my running buddy is probably going to do it with me too. That would help save on costs since we would split the hotel which is only less than $100 a night. This gas, food and hotel, this one would probably cost me an extra $100-125 which is very reasonable. This one is about 2.5-3 hours away. I have not ran this. Anyone out there run this one? Where did you stay? Did you like it? Personally, I wish they were not on the same day. 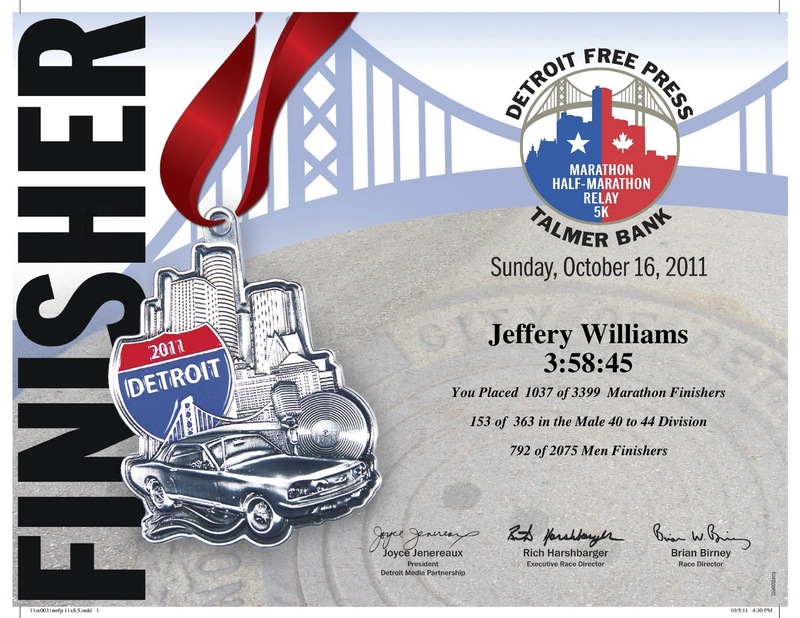 It would be nice to run the full in Grand Rapids and run the half in Detroit but unfortunately this can't happen. I ran Grand Rapids 4 times and loved it, but then again I don't require a lot of crowd support. The smaller size was a big plus for me after running Chicago and feeling crowded by 40000 of my best friends. I stayed at the Red Roof Inn downtown (28th St) although there are definitely several hotels closer to the YMCA where we started. My girlfriend has ran both races and she LOVES Grand Rapids over Detroit; hands down. Keep checking reviews on both races. I haven't done either one of them and have also heard good things about both. Detroit is on my list of possibilities for next year as well! I ran Grand Rapids and loved it. We stayed at an econo-lodge I think. It was quaint, the race director sends out poetic and timely blogs during the training, the start is so very accessible, downtown grand rapids is nice and I was suprised by the park settings during the run. It is my fav shirt of all the races I have done. How much different will detroit be? Answer; it won't. The GR expo was small and nothing to miss, though, but overall I have only fond memories. Then again, it was my Boston Qualifier so I was a bit run-drunk, but I think part of the reason I did BQ is less of a crowd at the start. for each race too as Mallory says I don't need crowd support either but it is nice. Someday I would like to do one of those too. I vote for GR :o) I planning on running the full in the fall. Can't beat the location. Ha. I volunteered at GR this year, and it really is a well organized race. Run "The D" ... love Detroit!!! Good luck!